Seneatha Clayton fell in love with missions the summer after high school on her first trip to Central America. When asked by the UPCI Youth Ministries to serve in the AYC ministry, Seneatha saw this as an opportunity of a lifetime. The chance to serve with youth across North America on the mission field was a dream come true! Seneatha graduated from Missouri State University with her bachelor of science degree in accounting and plans to finish her master’s degree in the future. Along with her love for numbers, she enjoys volunteering, event planning, and all types of travel. She has served on different leadership teams in administration, Bible Quizzing, and other areas revolving around youth ministry. 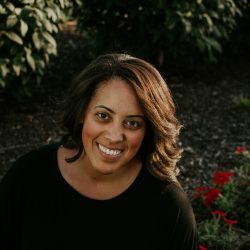 As a young person, her life was impacted by youth ministry and the people involved, so she takes every opportunity to pour back into the youth of today.